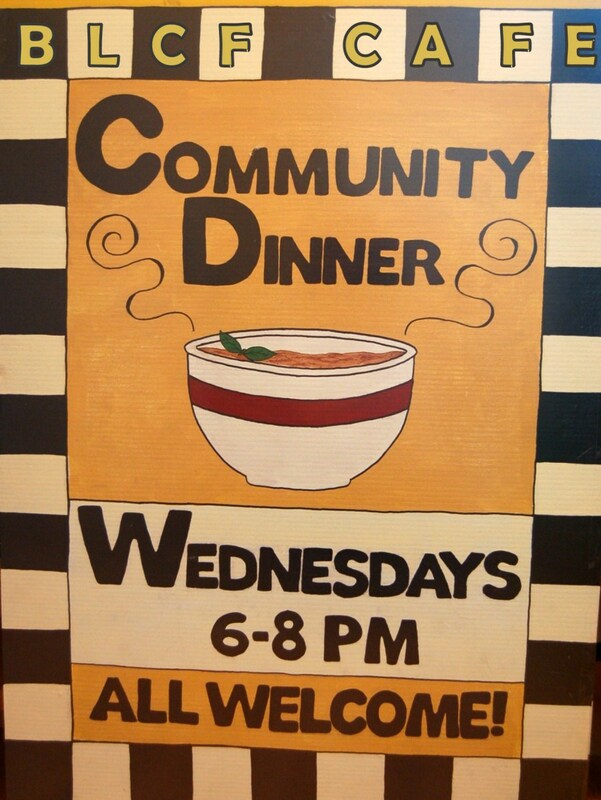 Volunteers, (individuals or groups), are needed to help at the BLCF Cafe Community Dinner, a weekly dinner that feeds over 100 homeless and marginalized people, every Wednesday Evening. Relying on fundraisers and private donations, BLCF Cafe receives neither government grants nor corporate sponsorship. BLCF Cafe does rely on the dedication of volunteers to serve over 7,500 dinners, annually. Volunteers serve each guest a wholesome dinner, with dignity and respect. If you are able, why not contribute a few hours of your time for a great cause? You will be glad you did when you see the smiles on the faces of the people we serve. For more information: Contact Sophie Mickelson at blcfcafe@yahoo.ca 416-535-9578. 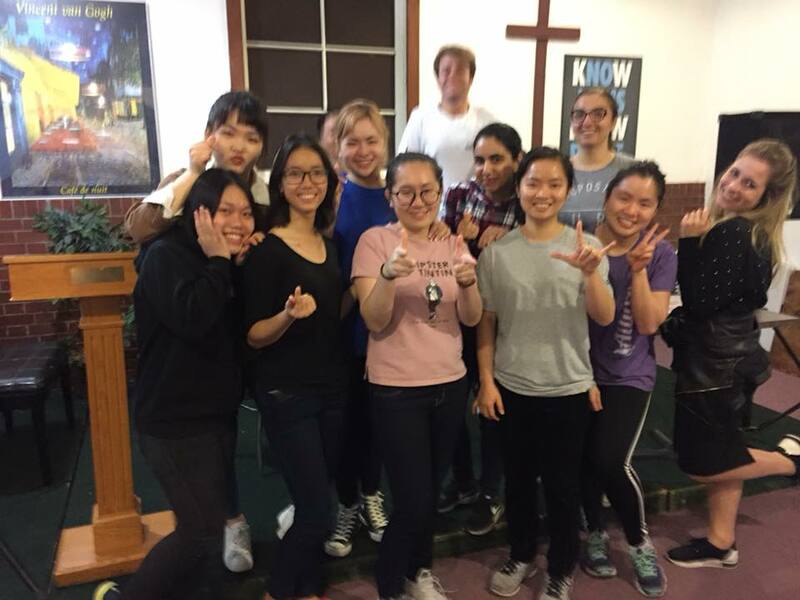 Please Note: While BLCF Cafe is willing to complete school, college and university community service volunteer forms, in order to ensure both the safety and protection of young volunteers, BLCF will neither supervise nor fill out forms or letters for volunteers required by the courts or social services. 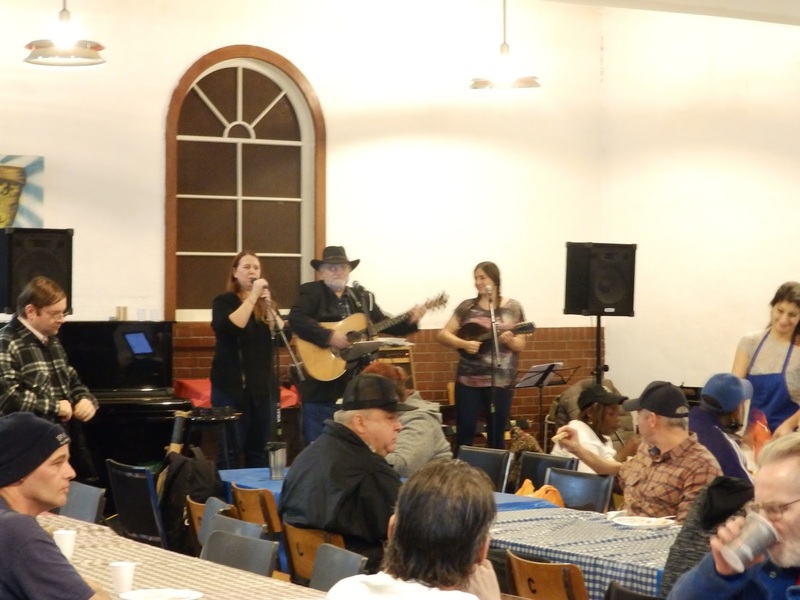 January 2019 marks the eleventh anniversary of BLCF hosting a community dinner, serving the homeless and marginalized in the heart of Toronto at the BLCF Cafe. And with the advent of bitterly cold weather, Bloor Lansdowne Christian Fellowship is asking for donations of socks, gloves, scarves, and toques for our homeless and marginalized guests in the heart of Toronto at the BLCF Cafe Community Dinner. 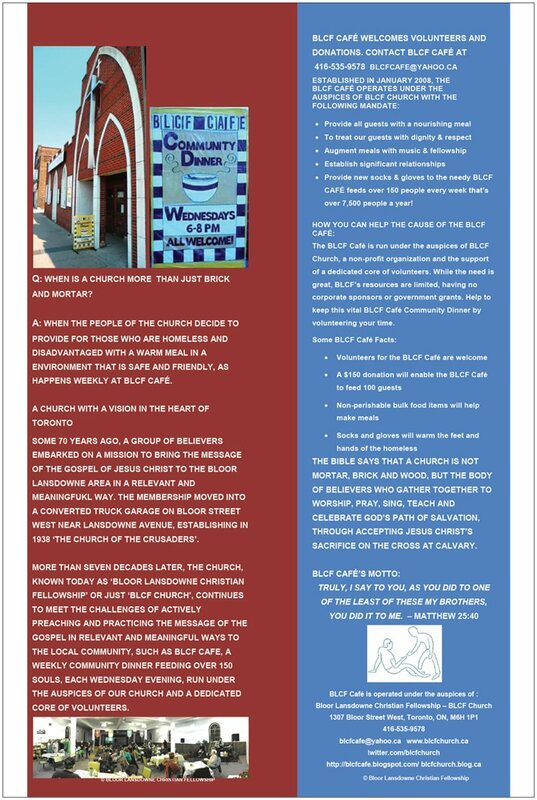 Donations may be brought to the BLCF Cafe Community Dinner, (Wednesdays between 6 and 8 PM). To arrange delivery at a different time, contact Sophie by email: blcfcafe@yahoo.ca or call BLCF at 416-535-9578. 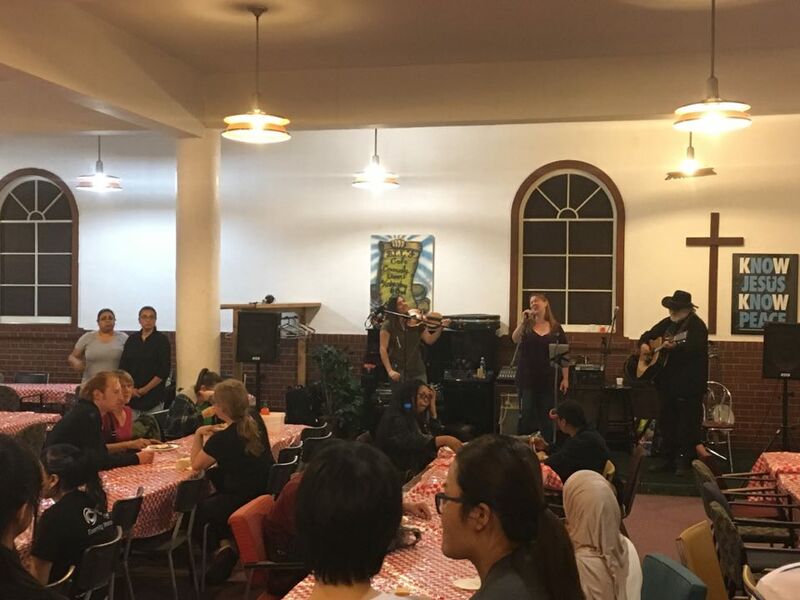 Not a bread line, food bank or soup kitchen, BLCF Café has been serving wholesome dinners to upwards of 150 of Toronto’s homeless every Wednesday evening since January 2008. 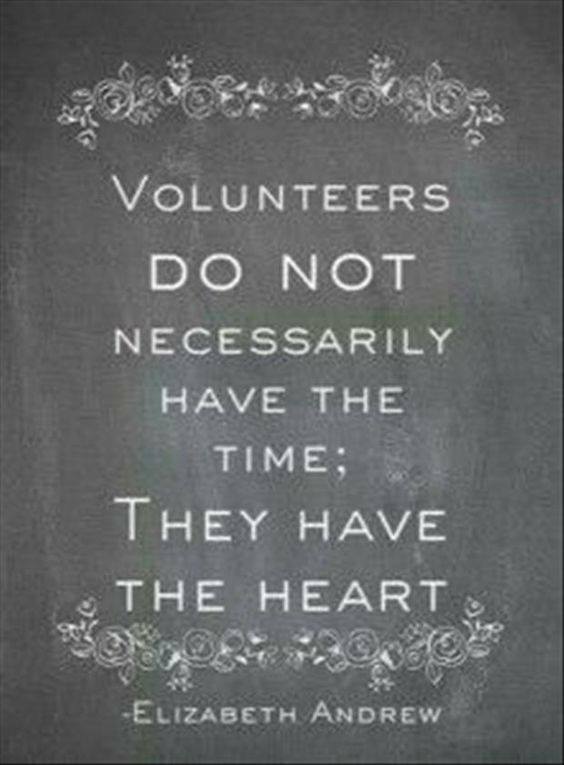 Individual and groups of volunteers are welcome. 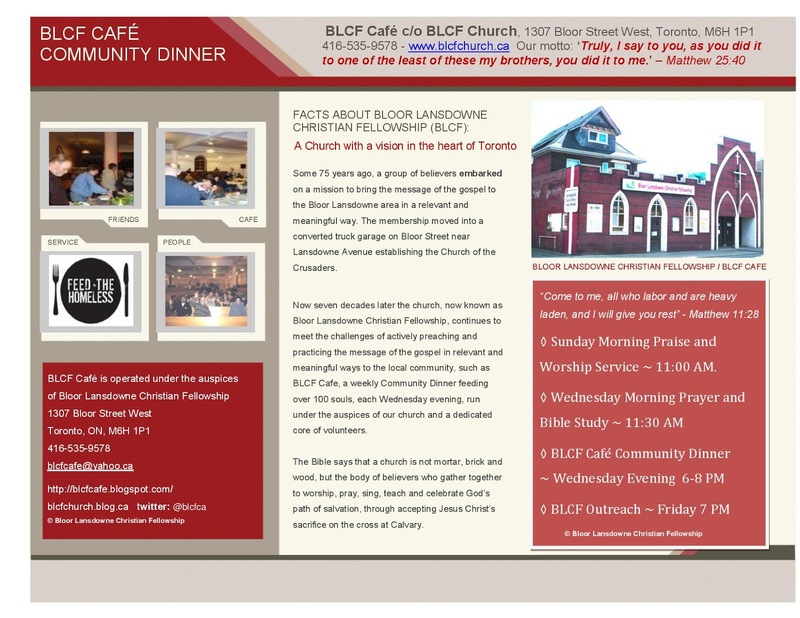 BLCF Cafe/BLCF Church, 1307 Bloor Street West, one block west of Lansdowne Avenue. Help bring some warmth to those in need. Why host a Dinner and not a Food Bank or Sandwich Run? 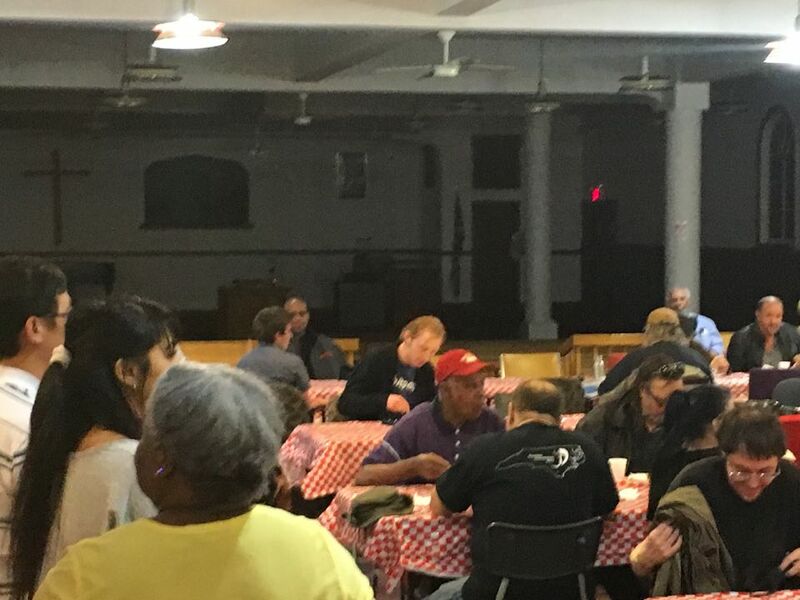 Why does BLCF Church (Bloor Lansdowne Christian Fellowship)​ establish a Community Dinner for the homeless and marginalized? Why not a food bank or “sandwich run”? I had just sat down in the Philadelphia 30th Street Station and tucked myself comfortably behind a newspaper to await my train to Washington, D.C., when, to my dismay, I saw a homeless man walking up to me. His approach was slow and deliberate. He stood before me, waiting for me to make eye contact. When I finally looked up to acknowledge him, I was discomforted by this man, probably in his mid-forties, with dirt and grease on his hands and unkempt clothing. What struck me most about him, though, were his indescribable eyes, eyes that seemed to know me, that seemed to penetrate right through me; that appeared to be full of love, compassion, and sorrow. Being a rational, unemotional lawyer, I tried quickly to put those thoughts out of my mind. I thought I must be imagining things. My first thought was, “Oh no, here we go again, another bum begging for a handout.” I had never appreciated the plight of the needy. They made me uncomfortable and perhaps a bit afraid. I felt they should stop bothering people, and go out and get a job like everyone else. I had apparently never learned (or perhaps I had forgotten) the Scripture that tells us: “If anyone has material possessions and sees his brother in need but has no pity on him, how can the love of God be in him? Dear children let us not love with words or tongue but with actions and in truth.” 1 John 3:17-18. I wasn’t inclined to give this man any attention, and I certainly didn’t want to give him any money. But he hadn’t asked for money. He asked only: “May I speak with you?” What kind of a question was that? As I pondered him and his question, his incredible eyes gripped me. Finally, I couldn’t remain seated any longer. I stood up to face him. “Will you feed me?” he asked. I wasn’t prepared for that question. As he continued to speak, his language seemed peculiarly articulate, and his words became increasingly strange and disquieting. He spoke like a well-educated and intelligent man, not at all like what I would have expected based on my image of him. All around me, finely dressed men and women hurried off to dinners, shows, and business meetings. Others, like myself, looked forward to getting home to their families. Many milled about in the cathedral-like structure, with its spacious halls and its magnificent columns rising to meet beautifully carved and painted ceilings high above. Others slept. Some chatted with colleagues or friends. Others sat idly, lost in thought, daydreams or fantasies. “Because,” he answered, “you look like a gentleman with whom I should speak.” Those were his actual words. Perhaps his story would have made me suspicious since it had obvious potential as a good come-on for a beggar to use. But the truth was in his teary eyes. Even the genuine sadness in the matter-of-fact way he told his story made it impossible for me to doubt its truth. He went on to explain his situation. Looking back on the scene now, I’m embarrassed to say that by this point in the conversation I was still clueless about what was happening here. My insensitive and foolish response was to offer a couple dollars so he could buy something. He looked at me with kind eyes and gently declined my offer of money. Did he mean this literally and, if so, what did he expect me to do? I asked if I could buy him a burger and fries at the McDonald’s located in the station. But this was not what he had in mind. Instead, he asked me to join him for lunch at the small atrium-like cafe located in what might be described as a chapel hall just off the main cathedral of the station. At this point, I didn’t know what to say. What could I say to this increasingly mysterious man who had picked me out a crowd and then confidently directed me to the specific café where he expected me to join him for lunch? I had a train to catch but, as I considered the homeless man, my heart was strangely moved. What began as a passing thought that perhaps I might as well sit down with this man for a few minutes became a compelling desire to do just that. The train could wait. There would be another one later. Talking with this man had become the single most important thing I could do at that moment, even though I didn’t understand why. We went over to the cafe and ordered a good meal. We sat together and talked for quite a while. Our conversation touched on issues that I wouldn’t normally discuss with an acquaintance of many years. He asked me questions about myself and what I was doing with my life. Perhaps my guilty conscience made me imagine things, but it seemed that he knew things about me that I didn’t want him to know. I felt like he could see the immorality that was ruling my life, and that I was well on the way to destroying my marriage and family. Without actually saying so, he seemed to know that I was living for my own self-gratification, driven by the desire for prestige, power, and enough money to gain financial independence. My lifestyle could be described by the motto: “I want it all, and I want it now!” One of my friends even printed that saying on a large button and fastened it to the lampshade in my law office. When he spoke of the grace of God I thought of how often I had heard preachers, parents, and teachers speak similar words. They had always seemed so trite. Coming from this man, however, I was awestruck by the simplicity and truth of this statement. At that moment, I experienced an odd sensation. I felt that his words had hit hard right where I needed to be hit. Even as I stood there, I found myself thinking that this man got to me like no preacher or teacher ever managed to do. I had often quoted the scripture saying “It is by grace you are saved, through faith … it is the gift of God – not by works, so that no one can boast. (Eph. 2:8-9). But I had forgotten the very next verse which states that we are created by God to do good works (vs.10). Then there is the Scripture in the New Testament book that says: “Suppose a brother or sister is without clothes and daily food. If one of you says to him, ‘Go, I wish you well, keep warm and well fed,’ but does nothing about his physical needs, what good is it? In the same way, faith by itself, if it is not accompanied by action, is dead” (James 2:15-16). I can tell you that as I stood before the homeless man my eyes were opened to the fact that my own faith was bogus. It wasn’t real. It was mere words. It wasn’t backed up with action. My faith was dead. The homeless man wasn’t even done with me yet. Looking steadily into my eyes, he asked: “The next time you see a homeless person or a someone in need, will you feed them, will you care for them, will you clothe them, will you meet their need? Don’t give them money. That isn’t what they need. They need you. Will you give them of yourself? Will you love them?” This final question stunned me. An uncomfortably long moment passed while I thought about it. Quietly, almost reverentially, I replied, “I will.” His eyes gleamed as he smiled and wished me well. As I boarded the next train for Washington, the impact of what had happened to me in Philadelphia and how it was going to fundamentally change my life had not yet dawned on me. This homeless man had ministered to me in a powerful and moving way. A day has rarely gone by since then that I have not remembered him with his incredible, loving eyes, peering into me. I often wonder about him and whether he could have led me to such a change without this being a divine appointment. As a new love and compassion seemed to well up inside of me from depths previously unknown, I realized that when I said “yes” to the homeless man, I had said yes to God. As the days and weeks passed after that, I found myself practically walking on air with a deep sense of peace and joy. I began talking to people and taking an interest in people that I previously would have crossed the street to avoid. While traveling in other cities since then, I have found myself asking homeless men to join me for dinner, buying bus and train tickets for men who claim they need to get home, and spending time listening to them and talking with them. That might seem like odd behavior for even a man much more spiritual than I. It was certainly an extraordinary behavior for me. Having no rational, reasonable explanation for my transformation, I concluded that I had experienced a spiritual encounter of a most dramatic kind. In my search for the source of this new experience, I bought a copy of an easy to read version of the Bible, The New International Version (“NIV”). One of the first passages to catch my attention was in the first book of the New Testament, at Matthew, chapter 25, which describes a scene when people will be brought before the “heavenly throne.” Two large groups of people are standing before the King. One group, He blesses and the other He rejects. To those He blesses He says: “For I was hungry and you gave me something to eat, I was thirsty and you gave me something to drink, I was a stranger and you invited me in, I needed clothes and you clothed me, I was sick and you looked after me, I was in prison and you came to visit me.” To the surprise of the good people who say that they don’t know when they did any of these things for the King, He will respond: “Whatever you did for one of the least of these brothers of mine, you did for me.” And for a final irony, he turns to all those people standing at his other side and tells them they are cursed and must depart his company because they didn’t care for Him when He was in need. As I think about all the homeless and needy people I have ignored and passed by, while secure in my belief that I was acceptable to God because I put my faith in Him and attempted to live a good life, my heart aches with the knowledge that by ignoring these people who needed me, I have ignored and rejected God. Much of organized religion today makes a great show of pomp and ceremony but seems to be lost in empty words, lacking any godly purpose or mission. In the Old Testament book of Isaiah, God tells the people “Stop bringing meaningless offerings. Your incense is detestable to me. . . When you spread out your hands in prayer, I will hide my eyes from you; even if you offer many prayers I will not listen.” (Is. 1:13). This is rather dramatic. In fact, it’s how I felt in my own life. Just as he wasn’t listening to their prayers, He wasn’t responding to my prayers either. Why? God rejected their empty worship and told them the kind of religion he wants to see. He says: “Defend the cause of the fatherless, plead the case of the widow (Is. 1: 17). So what is the Religion that God accepts? “Religion that God our Father accepts as pure and faultless is this: to look after orphans and widows in their distress….” James 1:27. The Bible states that we are to live by the Spirit of God and bear the fruit of the Spirit, including “love, joy, peace, patience, kindness, goodness, faithfulness, gentleness and self-control” (Galatians 5:22-23). If we take this seriously and ask ourselves whether we are genuinely experiencing and bearing these “fruit,” I believe we will see that each of us needs to accept the homeless man’s challenge, to make the decision from the depths of our being, to say yes to those in need, and to give consistently of ourselves (a listening ear, a helpful hand, and a compassionate heart). This includes sharing ourselves and God’s compassionate love with not only those who have physical needs but also with those who have spiritual and emotional needs — not only those who are strangers to us, but those who are our colleagues at work, family members, club members, and neighbors. This radical personal transformation of bearing fruit, giving of ourselves (not just our money and our words), is the natural result of answering the call of the homeless man, answering the call of God. When I said yes, my life dramatically changed. An empty chasing of success has been replaced with a life of significance. I still earn my living as a construction lawyer, but where I find true peace, contentment and joy are through the experience of God’s love – especially when I share that love with others in meaningful ways. How about you? Have you heard the call? How are you answering? Are you saying yes? 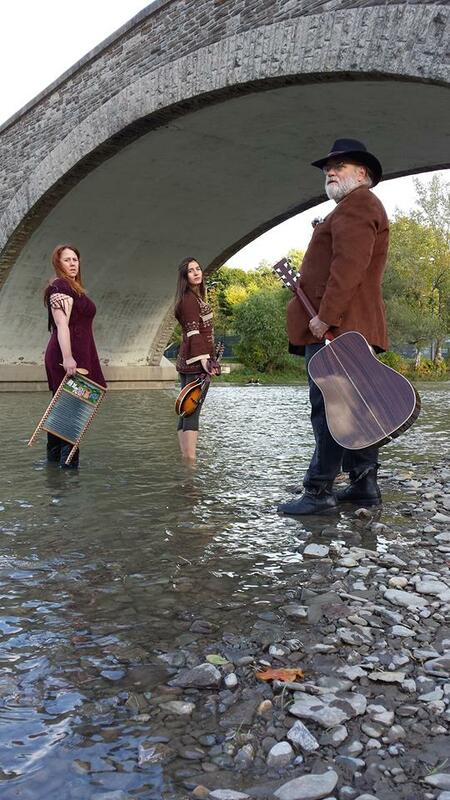 One for All Concert – featuring Cold Water Roots – Wednesday, May 30, 2018 at 6:00 PM at the BLCF Cafe – 1307 Bloor Street West – Take the Bloor Line to Lansdowne Station and go 1 Block west on the South Side of Bloor at BLCF Church All proceeds go to feeding the homeless and marginalized in the heart of Toronto at the BLCF Cafe Community dinner, every Wednesday since January 2008. 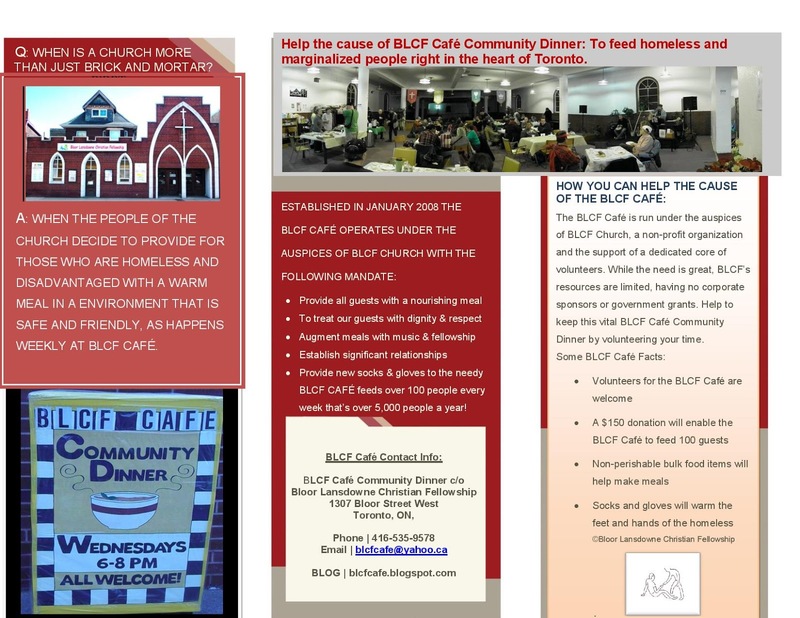 January 2018 marks the tenth anniversary of BLCF hosting a community dinner, serving the homeless and marginalized in the heart of Toronto at the BLCF Cafe. And with the advent of bitterly cold weather, Bloor Lansdowne Christian Fellowship is asking for donations of socks, gloves, scarves and toques for our homeless and marginalized guests in the heart of Toronto at the BLCF Cafe Community Dinner. The Perfect FUNdraiser in the Heart of Toronto at BLCF Cafe!